I am a great list maker. I have a shopping list on the fridge to be added to when something needs replacing, and a holiday packing check list that gets used every time we travel. I have lists of books to buy, and mustards we have in the fridge, and whisky’s we have tasted. My next list is going to be how to get my garden in order. I have the most amazing tarragon bush and a while back, Greg asked me for as much as I could spare. I cut off as much as I could, and before I knew it, it had grown back, better and stronger than before. So the first item that went on my list was to harvest the tarragon before it died back. I dried some and thanks to Greg’s input, I made the rest into tarragon oil. 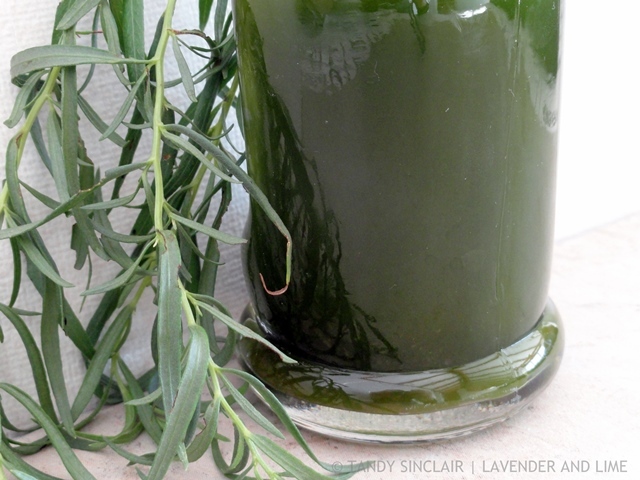 It has kept it’s amazing green colour just from being stored in the fridge. You can use any herb you have an excess of, but I would suggest that you do not use olive oil for the infusion as it will add too much of its own flavour to the oil. You want to have a high speed food processor to do this with effectively. I would love to try it in a Thermomix, or something similar, to see how different the oil turns out, but given that I only have a standard kitchen food processor this is what I used. And with great success I might add. I have done the recipe in a 10g/100mls ratio which you can adjust to suit how much your herbs weigh once you have blanched them. Hmmm. Tarragon oil didn’t work for me. Never got the bright green color and the oil barely tastes of tarragon. So sorry to hear that. 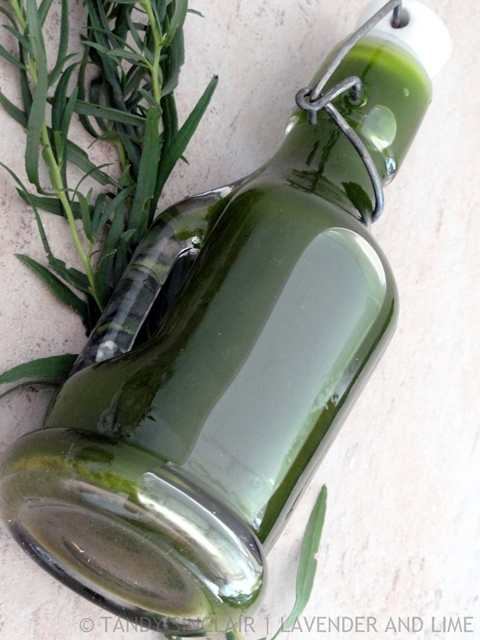 Which type of tarragon did you use and what oil? Maybe I can replicate what you did. This recipe works for me everytime. I have mixed feelings about Tarragon, the smell makes me scrunch the snoz up in disgust, but the taste makes me rub the tum and smile with glee. I don’t think I ever had tarragon before. I’ll make a note to buy it next time I go shopping. What an incredible colour! I find that cutting my herbs right back gives them a great boost and a week or so later I am rewarded with another great crop. Hi Tandy, I never have any luck growing tarragon you must have a green thumb. Beautiful color! I haven’t grown tarragon for a long while. Looking forward to planting more herbs and veggies in Spring.